My name is Ty Roush, and I’m from Chapel Hill, North Carolina. I am currently a senior at Auburn University as a fourth-generation student majoring in journalism. During my time at the university, I have reported, edited and designed for The Auburn Plainsman, the school’s student-run newspaper. 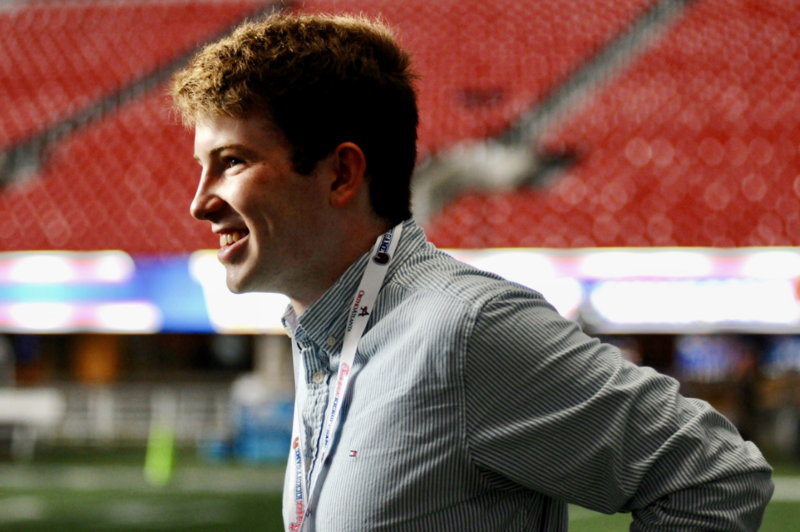 In just over two years with the paper, I have covered two Iron Bowls, a SEC Championship, a regular-season championship run by the men’s basketball team and have spent plenty of time in interview rooms with Auburn’s prominent sports figures. I grew up in the hallways and classrooms of Carroll Hall at the University of North Carolina at Chapel Hill, with my father working as a journalism professor for the school. His office is and has always been adorned by newspapers, and as a younger kid, I wanted to be the reason someone put a newspaper on their walls. After finishing my degree at Auburn, I hope to retain a general reporter position at a local newspaper. I am ready to write about anything, and I have been told that I should be prepared to cover crops in the middle of nowhere, Iowa.